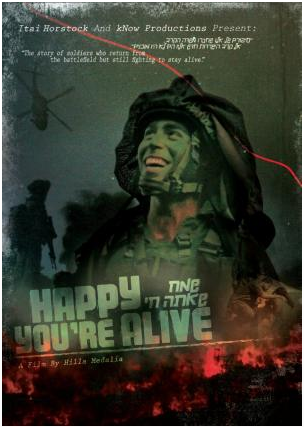 “Happy You're Alive” documents the tragedy of battle in the West Bank and the lasting effects of war on society as both forces play out in the lives of two men struggling after their encounters in combat. Their difficult return to everyday life after the terror of the battlefield is captured on film over a span of more than two years, exposing how each man deals with the haunting memories of war differently: one turning to music and one to therapy. Both stories show that the will and strength to survive can be found even in the face of the most unimaginable pain.